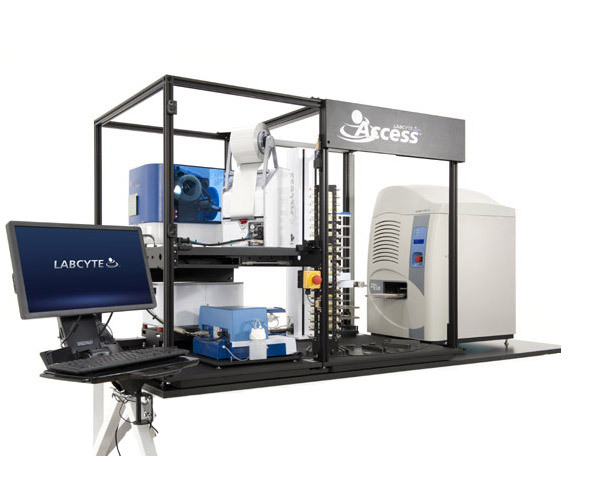 Meet Rich Ellson, founder and CTO of Labcyte as he guides you through an introduction to acoustic liquid handling. This will be followed by a hands on activity, run by Jared Bailey of Labcyte, exploring cell-free transcription-translation systems (TXTL). Transcription-translation systems (TXTL) provide a tantalizing route to the creation of biological circuits. An optimized amount of protein production within the circuit is needed for the circuit to function correctly, which presents a hurdle for traditional technology. Arbor Biosciences® myTXTL® reagent paired with a Labcyte® Echo® 525 Liquid Handler allows for a consistent reagent source to be paired with a liquid handler capable of delivering accuracy in the nanoliter scale. Come view the two cutting edge technologies used in a lab setting demonstration using a fluorescent protein readout. Please arrive early and give yourself time to check in with security on the main level. The workshop and lab will be hosted on the 2nd floor.